031, a photo by DarrenNunis on Flickr. Talk about summer rains. It was clear all day and then suddenly in the evening, the skies opened. 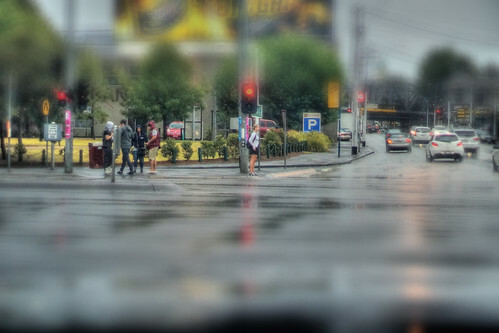 Here's a shot of the wet streets of Melbourne just I was heading out for dinner. More tomorrow.